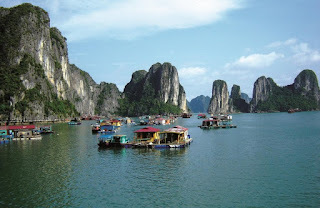 A trip in Halong Bay is not just all about sightseeing. 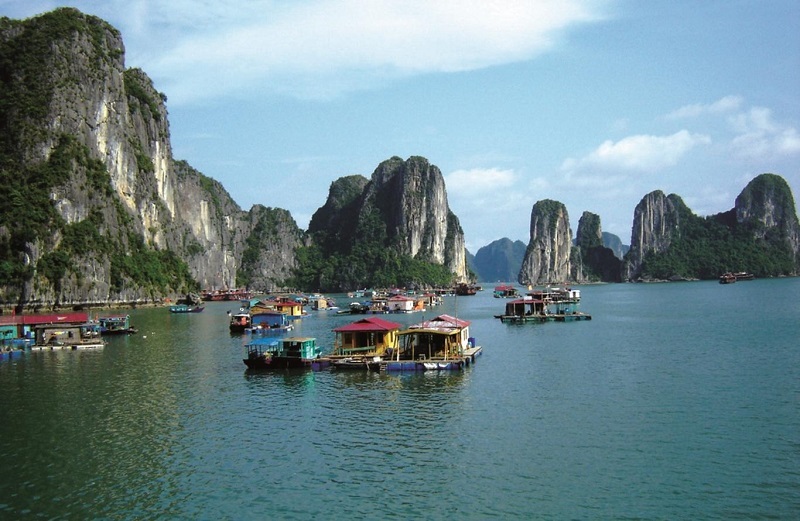 Your cruise will take you to some floating villages and give you a glimpse of how Halong Bay can become the living place of many people. Cua Van Village is one of them. 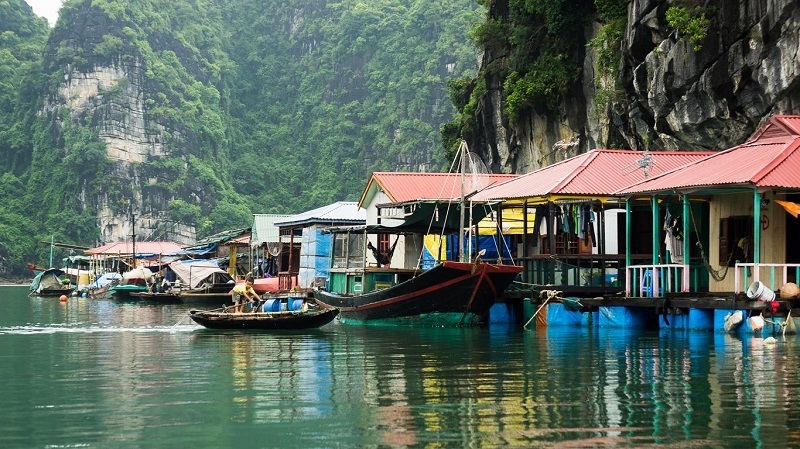 Cua Van is not an ordinary fishing village. It is an old village where people not only earn their living by fishing but all daily life activities are closely associated with the sea. The village is created by some ramshackle houses. Some of them lean on the limestone cliff, some others are built right above the ocean. The houses are not far away from each other and all connected by a network of small bridges. 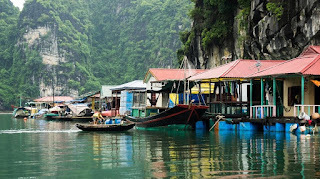 To the villagers here, the fishing boats are their main houses. They always have to move to earn a living. Today, they may have just set sails, but tomorrow, they are far away in Cat Ba or Co To. When the sea is quiet, they stop to look for fishes and shrimps. But when the storm comes and the waves raise, they sometimes have to move in the caves to find a shelter place and only come home when the storm has passed. That is how difficult their lives are. However, the people at Cua Van Fishing Village are very friendly and hospitable. In their idyllic village, you will listen to some inspiring life stories of the people who has never set foot on dry land. With the rapid development of Halong overall, Cua Van also benefits. Recently, a school was built to educate children, the next generation of the village. With about 150 meter square, the school only has four classes and some small rooms for teachers. It is neither spacious nor fully-equipped like those on land, but it doesn’t lack pupils, that’s for sure. Now that children can go to school, Cua Van does have a bright future ahead. One of the most interesting sites to travelers here is the Cultural Center, the first in Vietnam to be built on a floating village. It was established for the community here to preserve and protect the cultural values of their home via different kinds of traditional and interactive activities between the villagers and travelers. Cua Van’s Cultural Center is 330 meters square, showcasing hundreds of archeological items, including some tools for fishing of ancient Vietnamese as well as several footages and films about the authentic culture creating by the people living in Halong Bay in the past and present. One of the most surprising things you will find out here is that your guide is actually a villager who hasn’t undergone any formal tour guide training program. Perhaps only her love for the hometown helps her to tell some inspiring stories about Cua Van, so that visitors can understand more about the village.